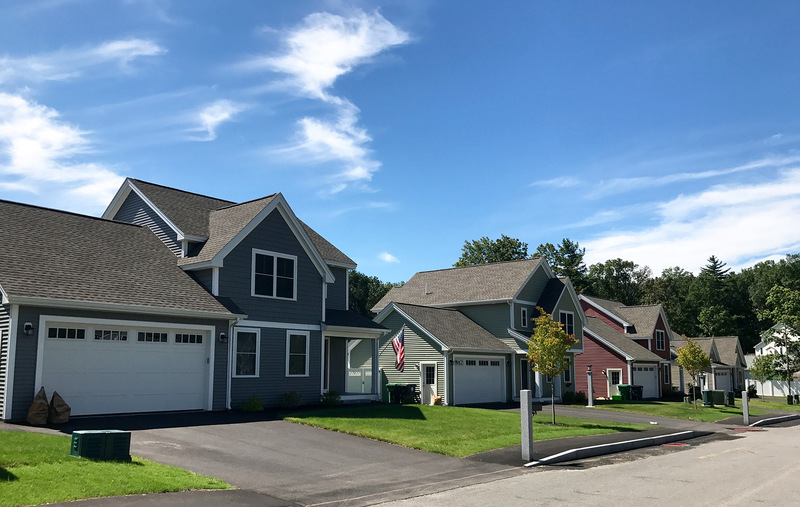 Kirkpatrick Village is a neighborhood community of sixteen single family homes nestled among 5.5 acres in the desirable North End of Nashua, New Hampshire. One of the last residential parcels of land located in the area, the property was owned by the Kirkpatrick family for generations. Great care was taken in the development of the property to minimize the impact on the environment and to create a quaint neighborhood feeling for its future residents. 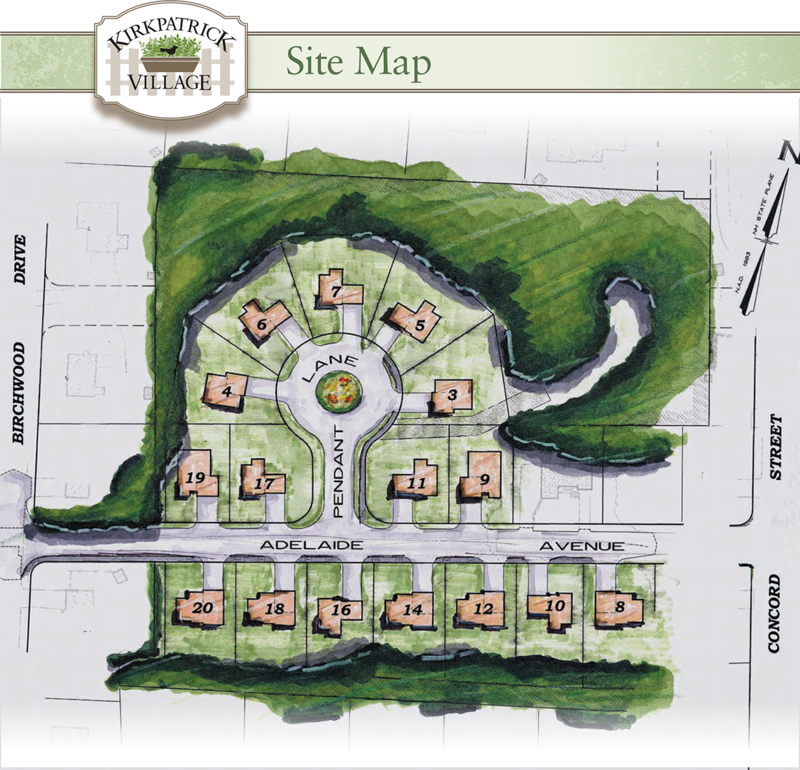 Being a conservation subdivision, the “open space” provides a buffer at its perimeter and creates a real sense of community with its residents. 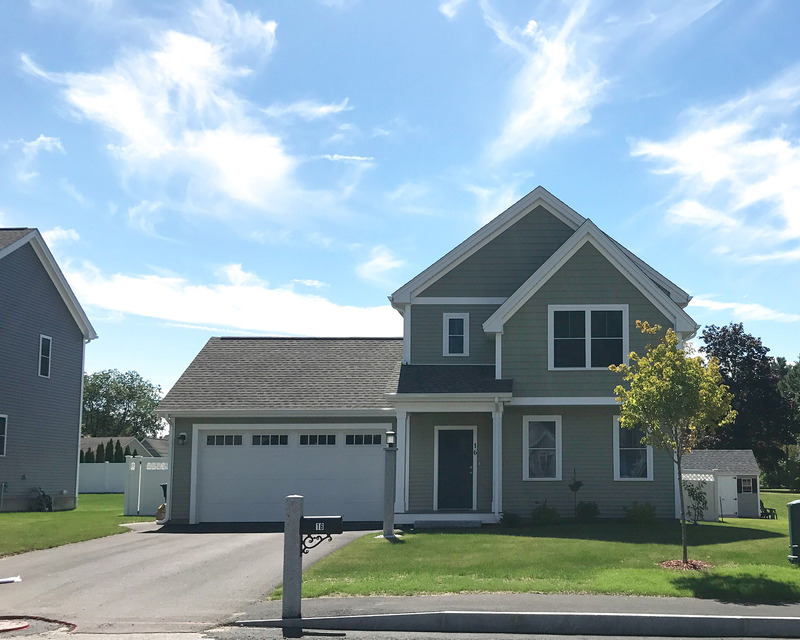 The location in desirable North Nashua is minutes from Route 3 and very convenient to shopping yet just a short walk to downtown Nashua. The community’s well thought out home designs feature a variety of three and four bedroom floor plans, consisting of well balanced single-level and multi-level homes, all with two car garages. All offerings include granite countertops in both the kitchen and bathrooms, hardwood flooring, recessed lighting, central air conditioning, and irrigation systems, all as standard features. The homes can be further enhanced with options such as fireplaces and extended height walkout basements (certain lots only).